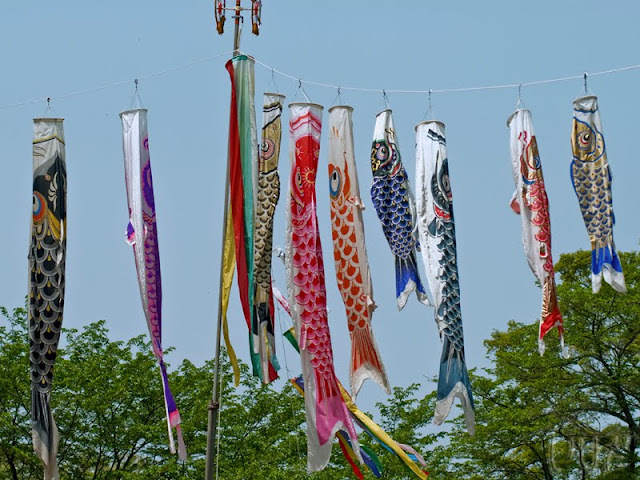 That holiday was celebrated last Wednesday (May 5th), but due to the backlog of photos from the snake festival, the carps are going on the blog today. Too bad there's no wind and the carps are not "swimming". Very colorful and unique designs. Thank you both for your comments. I think these carps look like they're gasping for air/wind. Poor fishies!